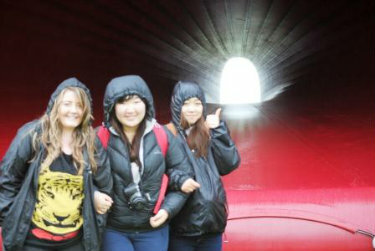 About 35 Year 13 Visual Art students have just had the opportunity in July to visit Gibbs Farm which is set in the Kaipara Harbour. 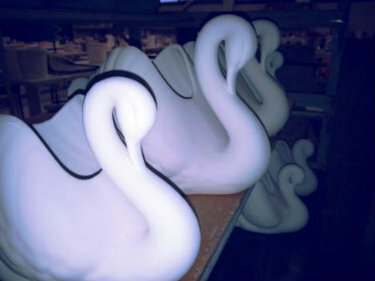 Our community was invited to attend this exhibition during the first few days of August. 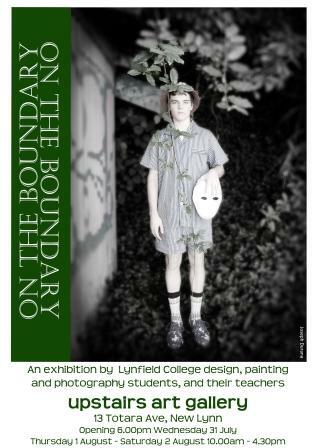 “On the Boundary” - the Senior Visual Art Students and Teachers exhibition, at the Upstairs Gallery was visited by several hundred people and received very positive reviews. 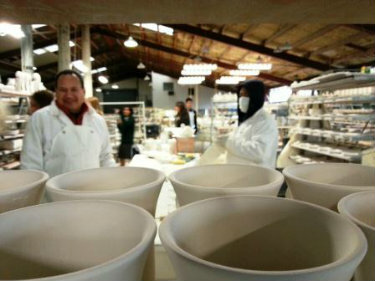 The gallery in New Lynn was impressed by the calibre of works exhibited there and very pleased to see the response from the local community. 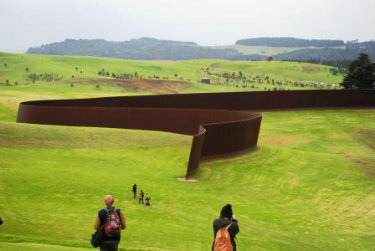 The gallery will no doubt continue to attract attention as future exhibitions are held there. 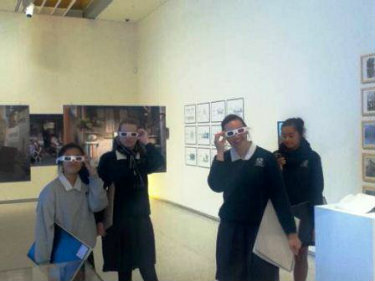 A group of senior visual arts students welcomed the opportunity to participate in the current Auckland Arts Festival at the Auckland City Art Gallery. The Year 13 and Year 12 students heard four artists talk about their work and artistic practice. 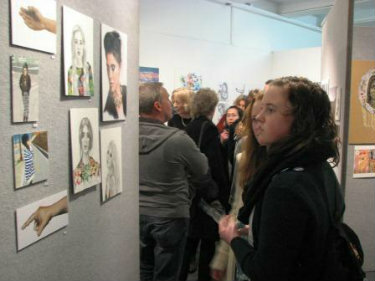 The Year 11 students spent the morning viewing artworks in the gallery. 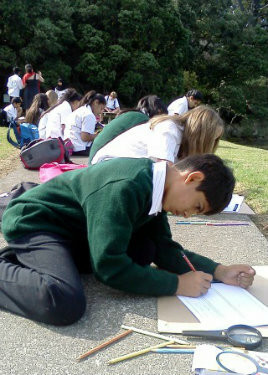 Then it was on to the Auckland Museum Winter gardens to draw from observation. 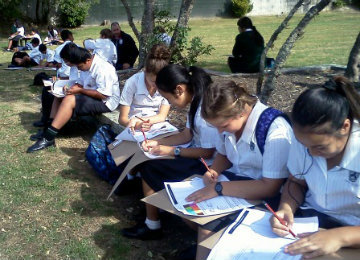 This included drawing the sculptures, architecture and plant life. 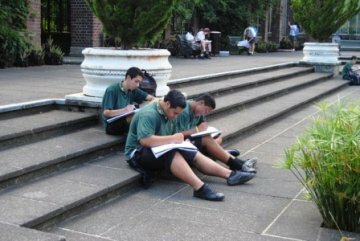 The three photographs show the students waiting to head in to the lectures and then sketching while at the Winter Gardens at the Auckland Domain. 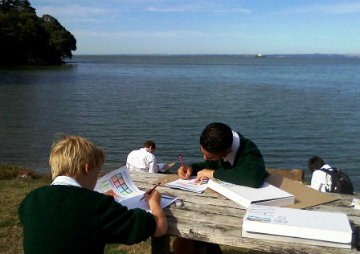 Year 9 students in the Visual Arts option classes have been given the challenge of producing a panoramic painting. So recently they have been doing sketches of Lynfield Cove, and more detailed close-up drawings of rocks and plants. 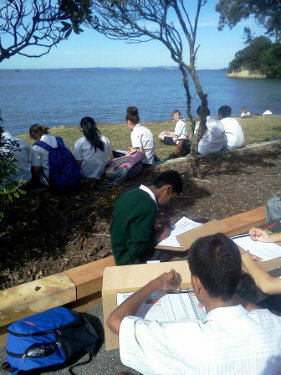 Back in class, they will be using their images and experience of the beach to make the panoramic painting. 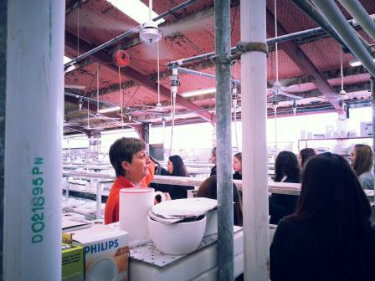 The current assessment for the 45 Year 11 Digital Media students is observational drawing. 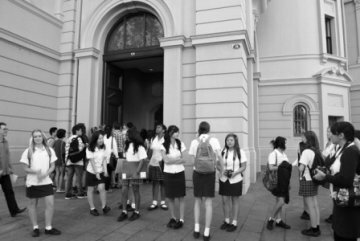 Mr Hambridge and Ms Van Heeswijk took their students to the Auckland Museum where they sketched Maori artefacts from the Maori court. As mentioned in a previous article a group of our Year 9 and 10 students created the art that is receiving considerable acclaim at Blockhouse Bay's newest cafe The Block. 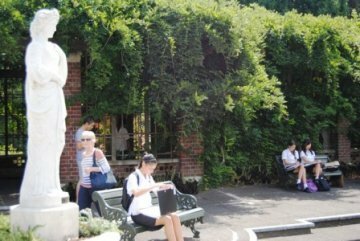 The installation of clay tiles was designed by Art Design teacher Mr Glynn Hambridge who joined with Ms Bev Austin to assist students in creating the work during the 2011 Caring for our Community project. 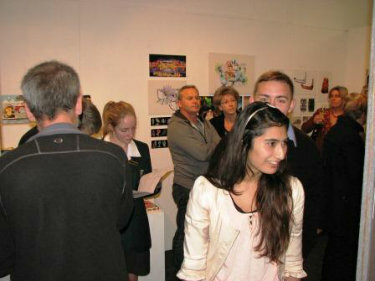 Four of our art students had work chosen as finalists in the 2013 Auckland Secondary Schools' Art Competition. Although none were eventually placed in the top few we congratulate them on doing so well in the competition which culminated in the Annual Charity Gala Night of the Original Art Sale. The images below show, from left, the work of Carmel Donald and Wern Tje Lim (both Year 12), and Joaquina Rockwell (Year 13). The fourth finalist was Jeeun Koo (Year 11).